No 6 Carraig na nOg. New to the market, this superb property in a prime location in Barna offers spacious living and sleeping accommodation with open plan kitchen, dining, and living space, two double bedrooms with en suite off master bedroom, and a large luxurious bathroom. 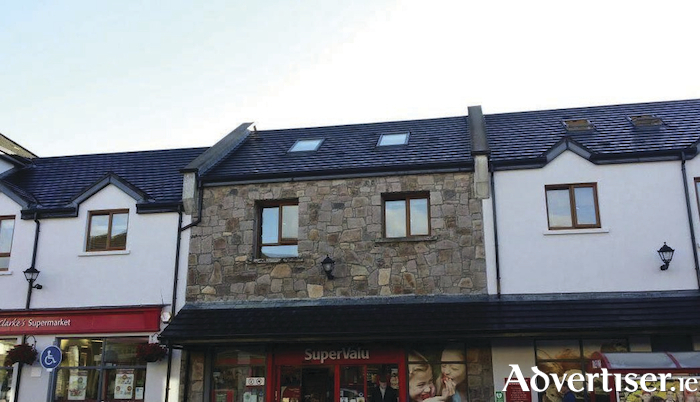 This prime property is set in the centre of Barna, a thriving village with picturesque views and only 8km to Galway city centre. Barna is a tourist hotspot all year round and boasts exceptional tourist attractions including Barna Pier with a small beach adjacent to the pier, and Silverstrand, along with a variety of amenities including restaurants, shops, and service providers. This is a well known fishing area and Irish speaking area. Experience Irish cultural traditions, explore the beautiful village, and take a look around this turnkey property with its stone front and large patio area. You will fall in love not only with the property but with the location as well. Guiding at €270,000, this property would make an ideal home or investment with rent for similar properties currently in the region of €1,400 per month. Airbnb is also an option in this busy Galway village. For further information or to arrange a viewing of this stunning property contact the sole selling agent APP Kirrane Auctioneering at 091 705555. Early morning, evening, or weekend appointments are available on request.